The government plans to increase the minimum wage to £6.50 per hour, according to a recent statement from Business Secretary Vince Cable. The new wage will start to take effect in October of this year, with upwards of one million workers likely to benefit from the increased price floor. 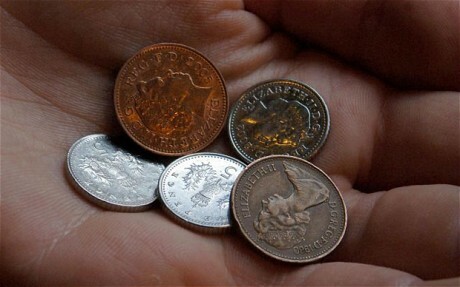 The current minimum wage is £6.31 per hour – a rate that over one million workers throughout the UK are subject to. The change in the minimum wage was motivated by a recommendation from the Low Pay Commission, which suggested a three per cent rise in pay rates in order to match inflation. Workers subject to youth wages will also receive a pay rise. 18 to 20-year-olds, who currently earn a minimum wage of £5.03 per hour, will receive a new minimum pay level of £5..13 per hour. Workers aged 16 and 17 will earn £3.79 per hour, a raise of 7p per hour from the current minimum wage of £3.72 per hour. The increased minimum wage will also affect apprentices, who currently earn just £2.68 per hour. Their minimum pay rate will increase to £2.73 per hour. The wage changes are based on the rising consumer prices index (CPI), which is currently at 1.9% annually. Calls to raise the minimum wage to a “living wage” have been criticised by analysts and economists. Founding chair of the Low Pay Commission, Professor Sir George Bain, claims that establishing a £7.65 living wage would cause mass unemployment in critical industries such as retail and social care.